The brakes in your car have evolved alot even in the last decade. They used to be a simple hydraulic system like you see in the image above. Now almost all cars have Anti-lock Brake Systems (ABS) as well as traction control, and stability control. Some even have regenerative brakes which charge your battery as you brake! 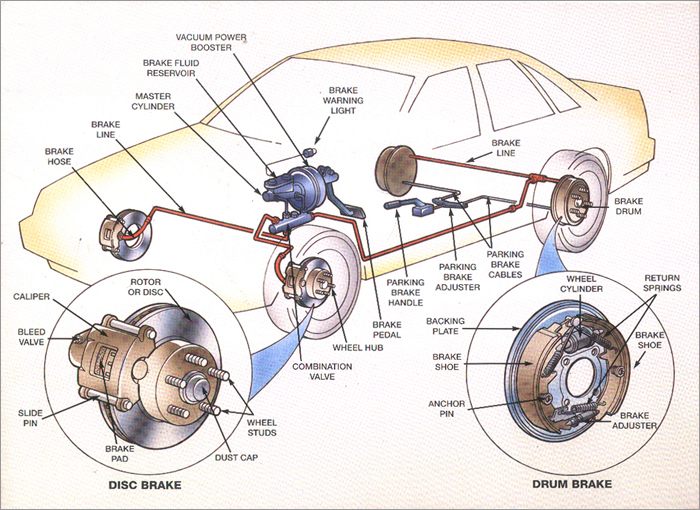 With the advanced technology involved now in brake systems, its no longer as simple as it used to be. Our technicians are certified by the National Institute for Automotive Service Excellence (A.S.E.) in A5 Brake Systems to ensure everything is done right and quickly.